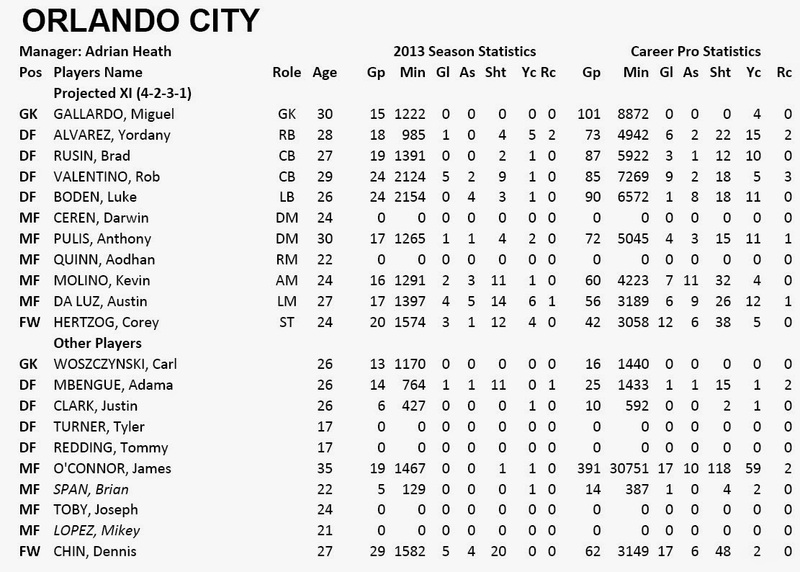 Analysis: Orlando’s main task for 2014 will be preparing for the MLS season in 2015 and establishing a competitive roster for next season. They already signed current player Kevin Molino to an MLS contract and brought in former Whitecaps players Hertzog and Rusin, as well as El Salvador captain Ceren, in hopes they will be part of their MLS squad next season. In the past, due to their attention elsewhere, teams have struggled during this transition period with Portland finishing 3rd, Seattle and Vancouver 5th, and Montreal 7th in the season prior to joining MLS. However, based on the support and coach Adrian Heath’s desire to win I expect Orlando to be competitive and are my preseason favorites.